On 13 February 2018 fourteen international and regional rights organizations stated that the Egyptian government has trampled over even the minimum requirements for free and fair presidential elections (planned 26-28 March). The government of President Abdel Fattah al-Sisi has relentlessly stifled basic freedoms and arrested potential candidates and rounded up their supporters. 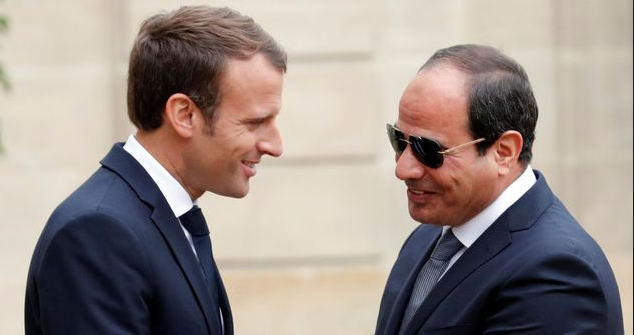 “Egypt’s allies should speak out publicly now to denounce these farcical elections, rather than continue with largely unquestioning support for a government presiding over the country’s worst human rights crisis in decades,” the groups said. The Situation of Human Rights and Upcoming Elections in Egypt: Facilitating Radicalisation is an event organised by the Cairo Institute for Human Rights Studies (CIHRS) and co-sponsored by ISHR, that will take place on 9 March at 13:30 to 15:00 in Room XXIII. The event will address the deterioration of the human rights situation in Egypt and the dangers of the international community’s failure to respond. Human rights violations in Egypt and in the Gulf States is an event organised by FIDH, CIVICUS, the Gulf Center for Human Rights. It will take place on 15 March 2018 at 15:00 till 16:00 in Room XXIII. The event will focus on the interlinked plight of human rights defenders in Egypt and the Gulf States as both are facing ongoing targeting by their own governments as well as explore measures for coordination and advocacy at the international level. In the same context there is the press release of Friday 2 February 2018 in which a number of organisations, under the umbrella Committee for Justice (CFJ), condemned Tuesday’s execution of Egyptian Tayseer Odeh Suleiman after he was convicted in Ismalia’s military court in what they said was a flawed trial inconsistent with international legal and human rights standards. Suleiman, 25, was hanged after the Supreme Military Court of Appeals rejected the defence put foward by his lawyer without explaining the reasons behind the rejection….CFJ confirmed that there had been an unprecedented increase in the implementation of death sentences in Egypt, based on illegal proceedings, with 26 people executed between the end of December last year and the present. CFJ further asserted that the reason for the death penalties “under the guise of combating terrorism” were misleading and in violation of basic standards of a fair trial indicating significant flaws in Egypt’s judicial process. On 8 June 2016 Human Rights Watch asked the Egyptian authorities to stop persecuting a lawyer and two judges who engaged in the suspicious activity of proposing an anti-torture law!!! Monday 25 April: what will happen in Egypt? Brian Dooley, Director of Human Rights First’s Human Rights Defenders Program, wrote in the Huffington Post that today, Monday 25 April 2016, could be a watershed day for Egypt‘s military leader. This day is a national holiday Egypt which marks the 1982 withdrawal of Israeli troops from Sinai. President Sisi‘s agreement to hand over the two uninhabited islands of Tiran and Sanafir in the Red Sea to Saudi Arabia may put a spark into the constantly simmering discontent in the human rights movement. The same sentiment is echoed in the long piece in the Huffington Post of 25 January 2016 by Karim Lahidji, President of FIDH and Bahey eldin Hassan, Director of Cairo Institute for Human Rights Studies. Ismail Alexandrani was detained after flying back from Berlin, where he attended counter-terror summit. The Egyptian investigative journalist and human rights activist was arrested after being questioned at Hurghada International Airport, his wife said, adding that the accusations or charges against him have still not been revealed. 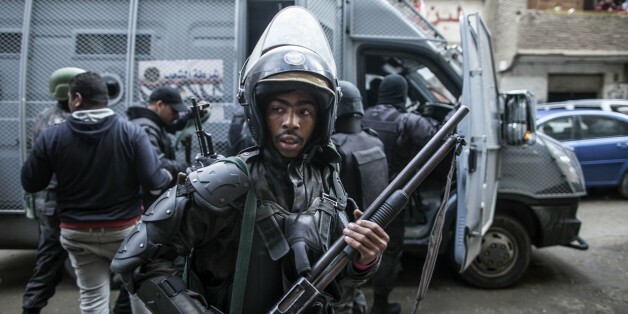 According to Human Rights Watch, more than 3,700 civilians have been charged in military courts since October 2014, when President Abdel Fattah el-Sisi expanded the jurisdiction of military courts for a two-year period. Many of those civilians were charged in the military courts “for acts related to protesting and [alleged affiliation with] the Muslim Brotherhood”.